The council approved the contingency plan in case no court construction funding is restored, but also agreed to request funding so that all active courthouse projects could proceed in the upcoming fiscal year if possible. By fiscal year 2013–2014, nearly $1.5 billion of court user fees originally designated by the Legislature to be set aside for court construction will have been borrowed, transferred to the state General Fund, or redirected to court operations. The Governor’s proposed budget for 2013–2014 would redirect another $200 million in court construction funds to trial court operations. It would also postpone repayment of a $90 million loan from the court construction fund. In the last 14 months, the Judicial Council has cancelled 2 projects, delayed 7 indefinitely, and at its January meeting, it adopted a plan to delay indefinitely 4 more projects pending resolution of the Budget Act for the upcoming fiscal year. Update of the Resource Assessment Study Model: The council approved the updated Resource Assessment Study (RAS) model parameters for use in estimating court staff workload, observing that the RAS model is not intended to set the funding needs for any courts, but is one tool to be used in the budgeting process. The updated parameters consist of new caseweights and new formulas that produce more accurate workload estimates. The RAS model was first approved by the Judicial Council in 2005. Trial Court Trust Fund Allocations: 2 Percent State-Level Reserve: The council approved a supplemental funding request by the Superior Court of Kings County for costs related to replacing its case management system. The council also approved that the balance of the reserve fund be proportionally allocated back to the trial courts after March 15. Remote Video Proceeding Pilot Project in Fresno: The council approved an application from the Superior Court of Fresno County to establish a remote video proceeding pilot project for traffic infraction cases under California Rule of Court, rule 4.220. Classification Structure and Compensation Study for the AOC: The council directed the AOC to conduct a request for proposals (RFP) to gather more information about the costs for an outside vendor to perform a study of the classification structure and compensation for AOC staff. Once this RFP is completed, the council will review that information to consider whether an outside vendor or the AOC Human Resources Service Office should perform all or part of the study. AOC Telecommuting Pilot Program: The council agreed to adopt a new pilot telecommuting program for the AOC that is more restrictive and increases oversight and monitoring. An interim report on the program will be presented to the council’s Executive and Planning Committee six months after the program has been in place, with a further presentation to the full council after twelve months. Use, Selection, and Management of Outside Legal Counsel by the AOC Legal Services Office: The council approved a recommendation to have its liaisons to the AOC Legal Services Office--with assistance from the council’s Litigation Management Committee--review the office’s use, selection, and management of outside legal counsel to determine whether outside counsel is being used in a cost-effective manner, including obtaining information about industry practices regarding use of outside legal counsel by large service organizations. 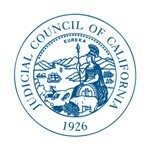 These Judicial Council liaisons will report back to the council on the results of their review, such as the need for additional review by the AOC’s Internal Audit Services unit, an outside consultant, or other entity. The AOC Restructuring Directives, as approved by the council on August 31, 2012, specifically directs the Administrative Director of the Courts to report to the council’s Executive and Planning Committee before each Judicial Council meeting on every directive. This informational report provides an update on the progress of implementation efforts for all of the directives.